There is enough Folly Beach history to fill a library of books. But not all the stories that call Folly home are happy ones. Some are stories of shipwrecks, some of war and turmoil, others of lawless pirates and and dying soldiers and headless horsemen. From the beginning of the island’s recorded history, events have unfolded on this local beach break that are shrouded in mystery and tragedy—the perfect ingredients for paranormal activity. The history of Folly is one where fact and folklore have blended to create a complicated mosaic of legend and truth. It is a mosaic full of terrifying tales and eerie occurrences and haunted histories. And it is one that makes Folly an incredible (or incredibly scary) place to partake in Halloween festivities. Before we dive too deep into the modern-day Folly, however (the one that's full of beach vibes and fun Halloween festivities), let's take a brief look at the spooky past that has shaped this barrier island over the centuries. In the early 1600's, when Europeans first arrived on the island, they discovered a native tribe known as the Bohickets. By the late 1600's, however, this tribe was all but wiped out, and even today, it remains unclear what happened to them. In the 1700's, buccaneering pirates—some as legendary as Blackbeard himself—would hideout along Folly Beach and maraud among the surrounding coves and inlets near Charleston wreaking havoc and commandeering innocent trade vessels. 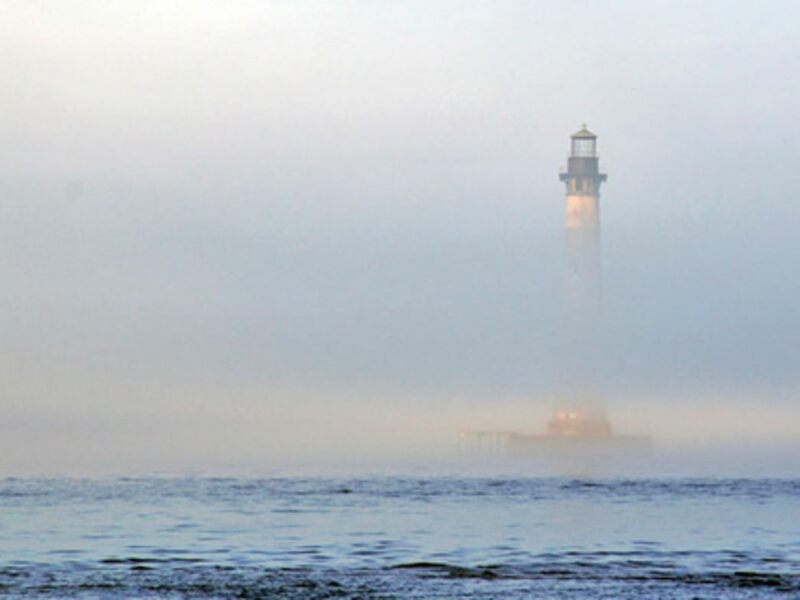 In 1832, one of the most haunting Folly Beach stories of all occurred. A ship known as the _Amelia, _bound for New Orleans from New York, wrecked off the coast of South Carolina near Folly Island. The surviving passengers, 120 of them, were cast ashore on Folly Beach and rather than being guided towards safety on the mainland, they were quarantined and left to fend for themselves, as there were whispers that cholera had broken out among the survivors. Twenty of the surviving passengers went on to die of cholera while stranded on Folly, and they are said to still haunt the area to this day. 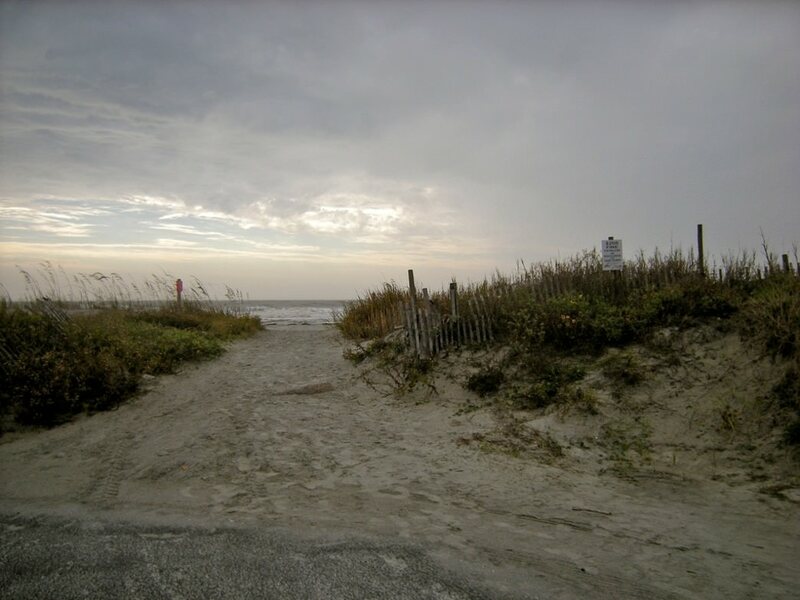 The most popular tale of paranormal activity on Folly comes from the time of the Civil War. Nearby Morris Island was the site of the famous Fort Wagner battles of 1863. The western side of Folly was thus used as a Union Army field hospital where many wounded soldiers—including members of the famous 54th Massachusetts regiment—returned from battle badly mutilated and on the fringes of death. And what may be even more gruesome to grasp is how many of these restless souls were buried in unmarked graves while fighting for control of The Holy City. Over the years, hurricanes and heavy storms uncovered some of these unmarked graves, and even as late as 1987, the remains of 14 unknown soldiers were uncovered on the western side of the island. Spookiest of all: 12 of these bodies were missing their skulls and other body parts! Today, some residents on the western side of the island have reported hearing voices in their homes and yards and even smelling burning flesh in their kitchens. One resident described an experience where it felt like a small child was jumping on her bed in the middle of the night. Remain skeptical if you'd like; we’re just trying to get you hyped for Halloween. So in the true spirit of getting you excited for the holiday, here are a few options for celebrating Halloween on Folly Beach. We can’t promise you’re going to experience any ghost encounters with Bohickets or pirates or members of the 54th Massachusetts, but knowing a little about Folly’s spooky and storied past will surely add an eerie element to your festivities. If you’re looking for the dead and restless, it only makes sense to start your search at the scene of the crime, aka Folly Beach County Park. We know from historical records and archeological digs that the west end of Folly is where Union troops set up their hospital, as well as several burial sites, so best of luck to all of you ghost hunters out there—we will not be joining you. While you’re out chasing ghosts, be sure to make a pit stop at Rita’s for some live music, tacos, and probably the best costume watching anywhere in Charleston. No hauntings to be had, but Forty Mile Detour will be jamming on the patio, margaritas will be had, and good times are sure to ensue. Another spooky and fun option for Halloween night is to hike the Morris Island Lighthouse Trail. The trailhead starts at the end of the cul-de-sac on E. Ashley Ave. Catch the sunset, then break out your headlamps and explore the trails in between Folly’s marsh and the Atlantic Ocean. If you're lucky, you may get a chance to meet ole' Blackbeard himself. It's well known that Blackbeard frequented Charleston and routinely took advantage of ships heading towards Charleston harbor. The old salt had a cozy pirate abode on Folly Beach, and many of his comrades were hung from the live oaks that line the battery. It's said that his ghost can be seen at the pirate house downtown, on Folly Beach, Morris Island, as well as the battery. It's not too hard to imagine Blackbeard's spectre making the rounds to all of his old stomping grounds. Fall is the perfect time of year for surfers in Charleston. The summer crowds are long gone, water and air temperatures are more refreshing than stifling, and the surfing community has free reign over the beach. Better yet, the Washout is your best chance at a ghost sighting while surfing. 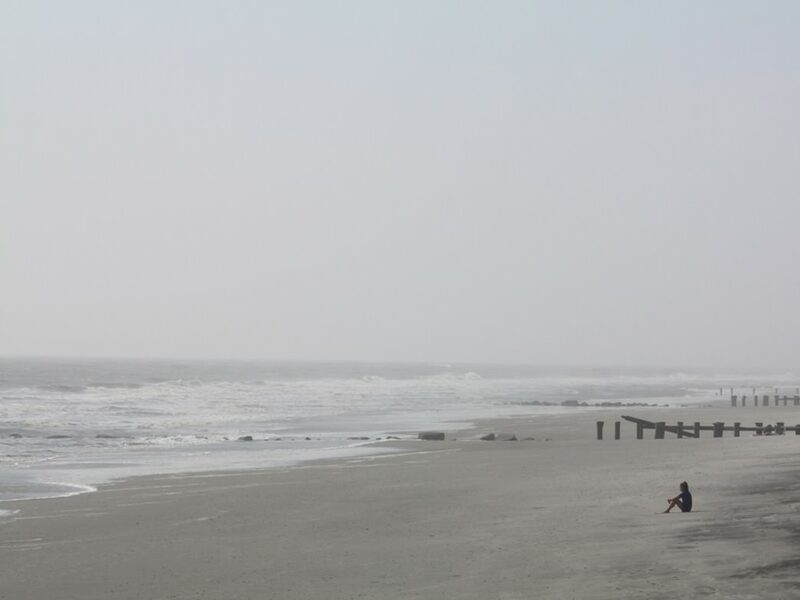 In the mid 1700's, Folly island was where ships coming into the harbor would bury their dead, and drop off their Cholera-stricken passengers so as not to spread the disease to the rest of the colony. For a time, Folly was named "Coffin Island", a testament to just how many dead were buried there. If there's one place where you can see dead people while riding a wave, it's there. Head to The Washout, grab a few waves, and then trick-or-treat your way back to Center Street in time to jam out at Rita’s.